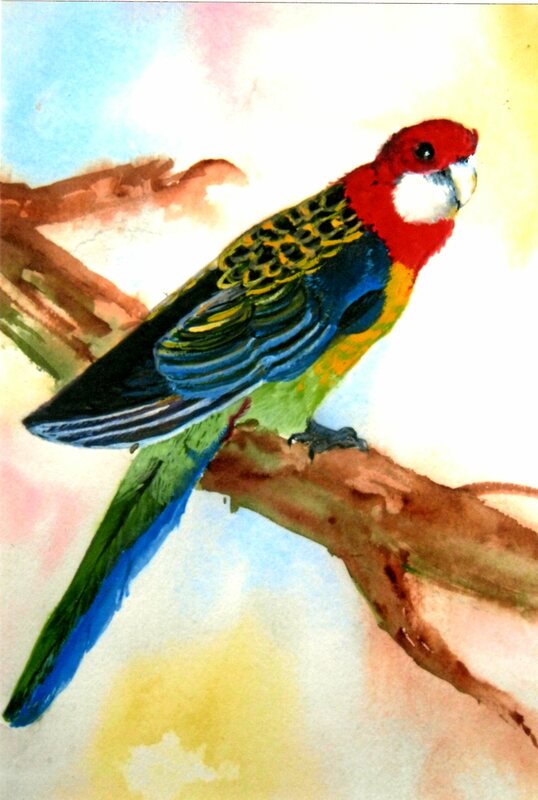 Mararet Ellem (O’Toole) has painted a lifelike watercolour of the Eastern Rosella. The Eastern Rosella is often seen in the Sydney regions of New South Wales Australia. You can see these birds foregoing in trees in this area. Margaret probably found this one near her home on the Central Coast of NSW.